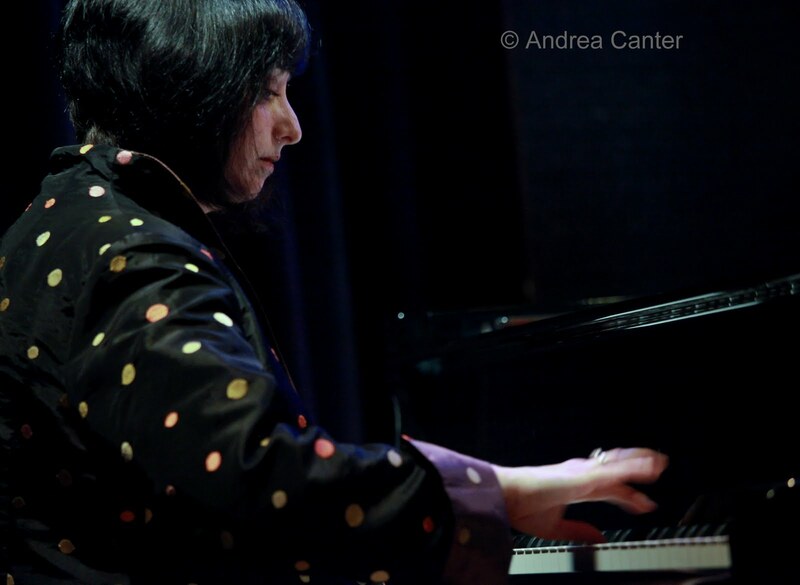 On June 3, within the span of one evening, the Twin Cities hosted jazz pianists at the start and prime of their respective careers, and the music in both situations was nothing short of remarkable. At the Artists Quarter, the new Young Artists Series sponsored by the Twin Cities Jazz Society presented a showcase of teen talent. Kai Olstad, 17, and Quentin Tschofen, 16, each performed a short set with a trio of accomplished peers on bass and drum. These young men had earned scholarships in the recent Jazz Piano Competition sponsored by the Schubert Club and Dakota Foundation for Jazz Education; Quentin had received the additional Performance Prize and a chance to sit in with the Christian McBride band at the Dakota Jazz Club. 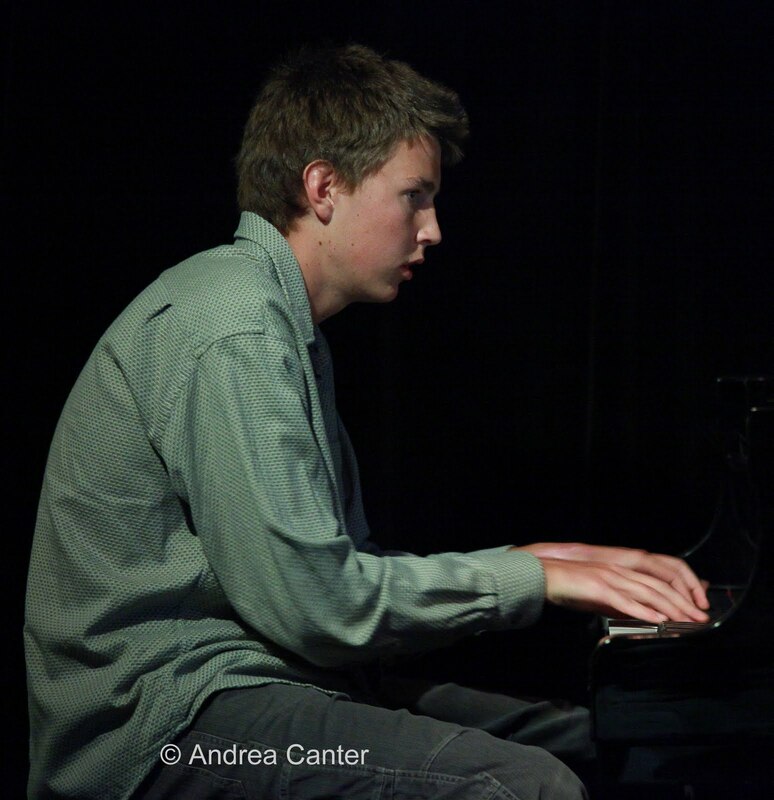 For the past year, Kai, who studies with renowned local pianist Laura Caviani, held the piano chair of the MacPhail Advanced Jazz Ensemble under the direction of Bryan Nichols; Quentin, who studies with Nichols, has been part of the Dakota Combo under the direction of Adam Linz. Between them, Kai and Quentin have been exposed to three of the most creative jazz musicians and educators in the area. 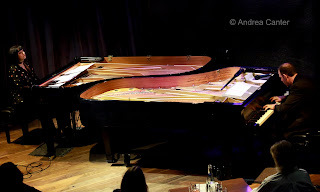 In addition to the common instructional link of Bryan Nichols, both Kai and Quentin showed an affinity for the works of Thelonious Monk but also exhibited decidedly different approaches. Kai mixed his bebop (Monk and Miles) with modern role models (Ethan Iverson of the Bad Blus) and an original by his bassist, MacPhail cohort Jordan Jenkins. Drummer Sean Powers offered usually subtle, but occasional forceful bursts, support. The band was swinging and Kai was in full control. 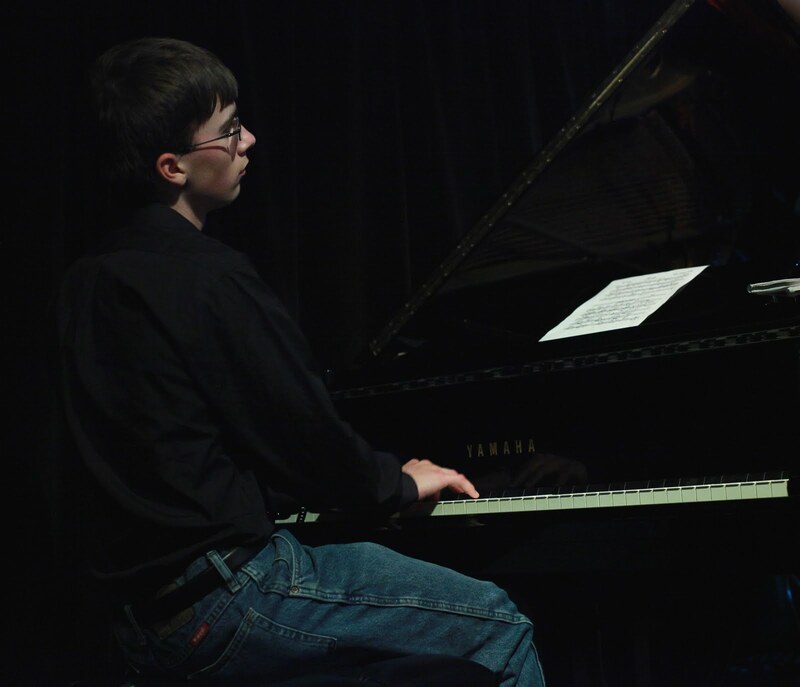 Quentin has repeatedly demonstrated his evolving compositional hops throughout the year with the Dakota Combo; he shows a surprising emotional range for a mere 16, creating works that can sing melodically or twist and spin with hard edged humor. In all, like Monk. The highlight of the evening was Quentin’s original (unnamed) composition that folded seamlessly into Nick Drake’s “River Man.” Partners Caitlin Kelliher on bass and Cam LeCrone on drums were steady foils. Pianists (and husband and wife) Bill Charlap and Renee Rosnes launched their careers separately and have followed somewhat different paths, Charlap churning out recordings and tours that highlight his respect for the Great American Songbook, Rosnes gaining insider respect for her fearless approach to both composition and modern jazz repertoire. They met, explored their music, fell in love, married (in 2007) and now have taken on the ultimate artistic challenge of putting their musical minds together. With two Yamahas head to head on the Dakota stage (covering pretty much all of it! 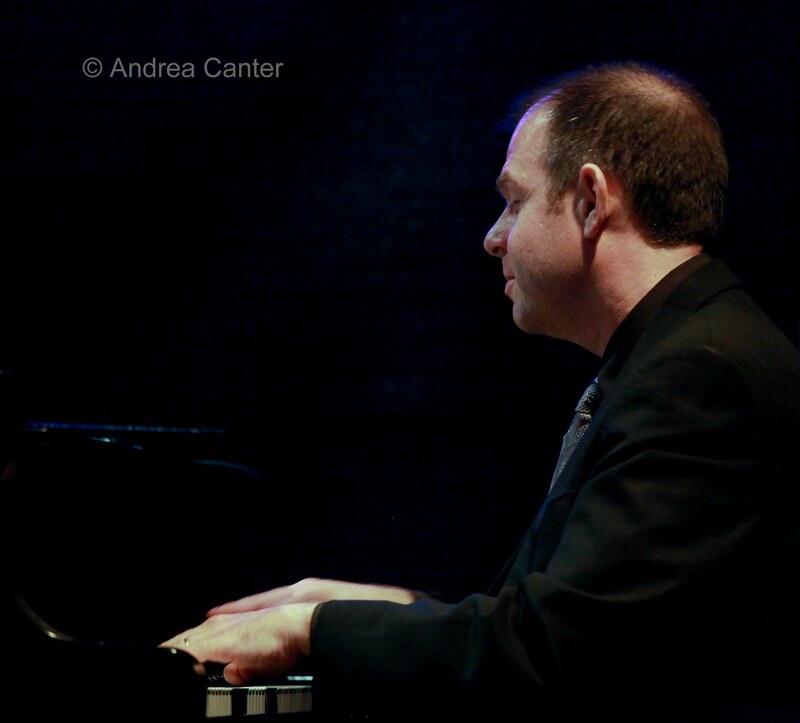 ), Charlap and Rosness treated the Minneapolis audience to two sublime and elegant sets of piano duos, avoiding the clichés and shtick that are sometime inevitable in a two-piano gig and giving standards and original works doubly engaging interpretations. I caught the end of the first set (having rushed over from the student gig in St. Paul), Rosnes’ eloquent “Saros Cycle” and Lyle Mays’ “Chorinho.” These pieces introduced me to the collaboration that marked the rest of the evening, the pianists alternating right and left hand roles, melody and rhythm, comping and soloing. Their syncronicity was so tight that it was often impossible to discern who was doing what without watching the overhead video monitor. (I often find this an unnecessary distraction, but tonight, it seemed to augment the experience.) The head to head arrangement of pianos was a seemingly essential component, allowing for eye contact that seemed telepathic. Their second set saluted two generations of saxophonists, Jimmy Heath and Jimmy Greene, on Rosnes’ bluesy, almost stride-inflected “Jimmy Up, Jimmy Down.” Rosnes worked her lyrical magic on a beautiful Wayne Shorter piece, “Anna Maria,” before turning the delicate upper register to Charlap. The familiar “You and the Night and the Music” was first dismantled by Charlap, Rosnes comping as if an acoustic bassist. The exquisite Gerry Mulligan tune, “Little Glory,” featured some lovely descending intervals and gentle staccato phrases from Rosnes; the two pianists danced a gorgeous pas de deux on “Dancing in the Dark.” Two stunners closed the evening: “In a Sentimental Mood” began with a dark and lush solo from Rosnes, whose legato swirls and ripples left plenty of space for Charlap to fill with more tightly woven patterns, leading into a dual improvisation where two pianos became one orchestra, as if a long-married couple who now finish each other’s sentences. 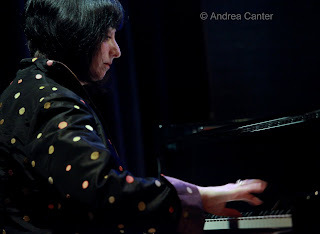 Charlap had the first slow words of “Just in Time” before ramping up the swing feel, both pianists exhibiting a soft touch and communicating visually as well as musically, their alphabet constructed of facial expressions, eye contact and slight turns of the head as well as notes. The standard was soon dismantled, but gracefully so. It’s a special night when you can look at genius in the bud and in full flower within the space of mere minutes.